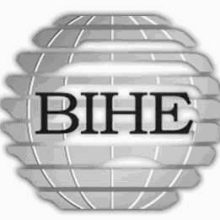 In light of the recent attacks on the Baha’i Institute for Higher Education (www.bihe.org), Iran press Watch is re-posting a few articles thats sheds light on the nature of the attacks of the Islamic Republic Government of Iran on Baha’i community’s education. 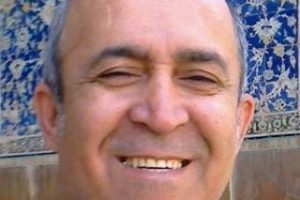 Below is one such article that describes the “official character” of these attacks that started by the expulsion of the Baha’i students from Iranian universities. 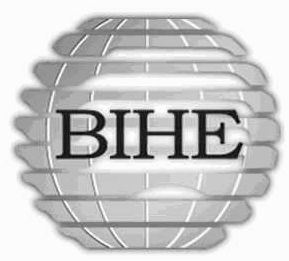 (BWNS 7 March 2007) NEW YORK , United States — The Baha’i International Community has obtained a document that appears to confirm double-dealing by Iran in its policy towards Baha’i students seeking higher education. “This document provides proof of Iran’s duplicitous behavior regarding Iranian Baha’i students,” said Bani Dugal, the Baha’i International Community’s principal representative to the United Nations. “In its public face, Iran claims that it has finally opened the doors to Baha’i students, after some 25 years of keeping them out of public and private universities in Iran,” said Ms. Dugal. 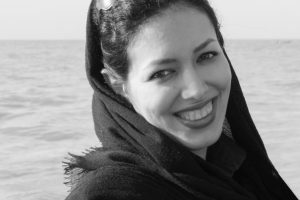 Indeed, the content of the letter sharply contradicts denials issued last week by an Iranian government spokesperson when asked to comment on figures released by the Baha’i International Community showing that a large number of Baha’i university students have been expelled so far this year, solely because of religious discrimination. Until two years ago, all Baha’i students were kept out of universities by the requirement that everyone list their religion on entrance examination forms. Baha’is were automatically rejected. Last autumn, hundreds of Baha’is passed the examination and some 178 were admitted into the university of their choice. So far this school year, however, at least 70 Baha’i students have been expelled as universities have learned that they were Baha’is. The 2 November letter was issued on the letterhead of Iran’s Ministry of Science, Research and Technology, and goes out from Payame Noor’s “Central Protection Office” to directors of the university’s regional centers. “With respect, according to the ruling of the Cultural Revolutionary Council and the instructions of the Ministry of Information and the Head Protection Office of the Central Organization of Payame Noor University, Baha’is cannot enroll in universities and higher education centers,” states the letter. Payame Noor University is “the largest state university in terms of student numbers and coverage,” according to the university’s website, with some 467,000 students in 74 degree programs at 257 study centers and units throughout the country. So far this year, at least 30 Baha’i students have been expelled from Payame Noor. To view the document in English, click here. 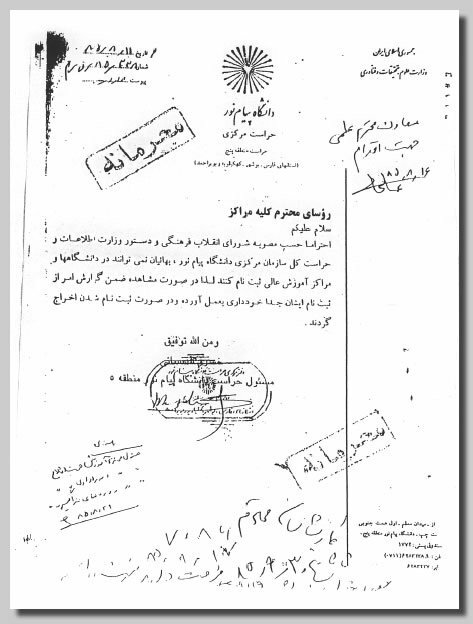 To view the document in Persian click here. For more information about the expulsion of Baha’is from universities in Iran, click here.